Rainwater Harvesting in India | PlugInCaroo… Karo plugin… abhi!… save the environment!!! This year, the summer has been extremely hot in India. Phalodi in Rajasthan, for example, recorded a temperature of 51°C – the highest ever recorded in India. Many states, such as Maharashtra, were hit by a severe drought and drinking water had to be transported through ‘water trains’. This crisis has led to renewed efforts to search for better methods to conserve water. Rainwater harvesting is one… such water conservation method that is being utilised in urban areas in a big way these days. Although rainwater harvesting seems to be a new concept for many of us, it has been prevalent in rural India since ancient times and has been known by different names – Paar in western Rajasthan and Pat in Madhya Pradesh. A.R. Shivakumar, also known as the ‘Rain Man’, built an eco-friendly home way back in 1994. Being a senior scientist at the Karnataka State Council of Science and Technology, he studied the rainfall pattern in Bengaluru before constructing his house and found out the city receives an average rainfall of around 1000mm every year. This meant that a 40×60 feet plot would receive around 200,000 liters of water every year, while the daily consumption of water by a family of four was around 400liters per day. So Shivakumar built his house with storage facilities for rainwater at various places. Each tank was fitted with a pop-up filter, which was developed by Shivakumar himself and holds a patent for it. This ensured that the water gets purified before getting stored for future use. Shivakumar’s house ‘Sourabha’ has a rainwater harvesting system along with a solar energy plant to power the house, a solid waste management system and a natural cooling system. He believes that his home should give him a return-on-investment (ROI) and this was his way of getting an ROI. 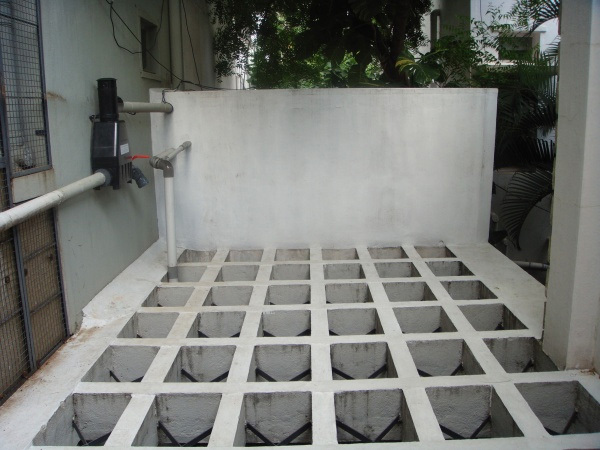 The rainwater harvesting system installed in Shivakumar’s house has a storage capacity of 45,000 liters, which suffices the drinking water and other water needs of his family. 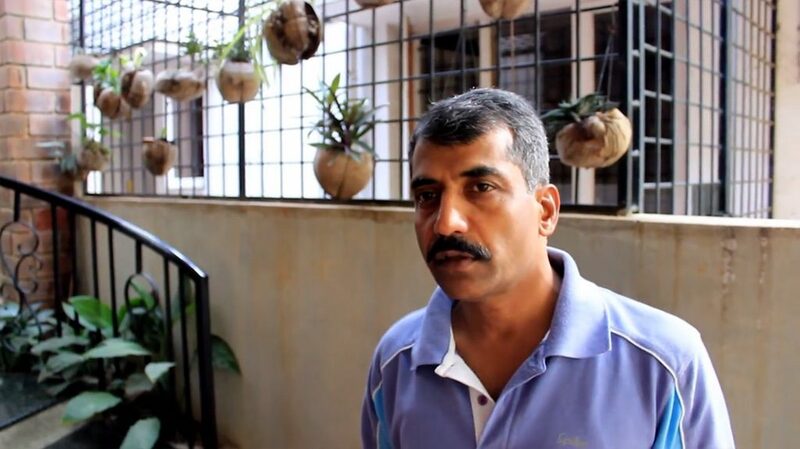 Sourabha doesn’t have a water connection and Shivakumar hasn’t paid anything to the Bangalore Water Supply & Sewerage Board since constructing his eco-friendly home! Rajendra Singh, also known as the ‘Waterman of India’, is a renowned water conservationist from Rajasthan. 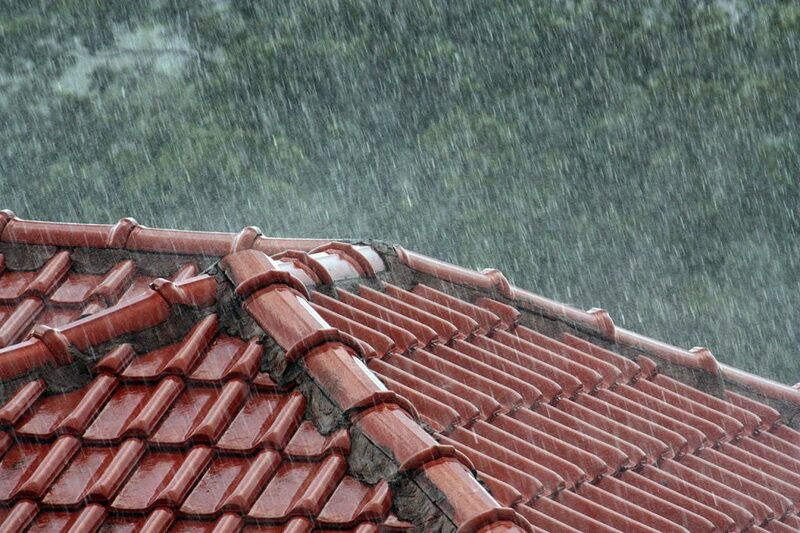 He used an ancient method of conserving rainwater called ‘Johad’. Johads are large crescent-shaped earthen check dams made of rocks and earth. They are used to capture rainwater, improve percolation and recharge groundwater. In 1985, Rajendra Singh visited a village called Gopalpura with Tarun Bharat Sangh, an NGO founded by him in an attempt to set up healthcare facilities. But after talking to locals, he realized that the villagers needed water more than healthcare. This was when he was introduced to the Johad system of rainwater conservation, and decided to revive it. It took seven months to dig up and revive just one Johad in Gopalpura, but the results were well worth it. Following this success story, many more Johads were revived and new ones were built in nearby villages of the region. The impact of the Johads was spectacular. The groundwater level rose from about 100 meters to about 13 meters. The green cover in the region also increased from 7% to 40%. Since then, Rajendra Singh has built more than 4,500 Johads. In recognition of his work, Rajendra Singh was awarded the Ramon Magsaysay Award for Community Leadership in 2001 and Stockholm Water Prize in 2015. Ayyappa Masagi, also known as the ‘Water Magician’ or ‘Water Doctor’, combines traditional methods with modern technologies to conserve rainwater. 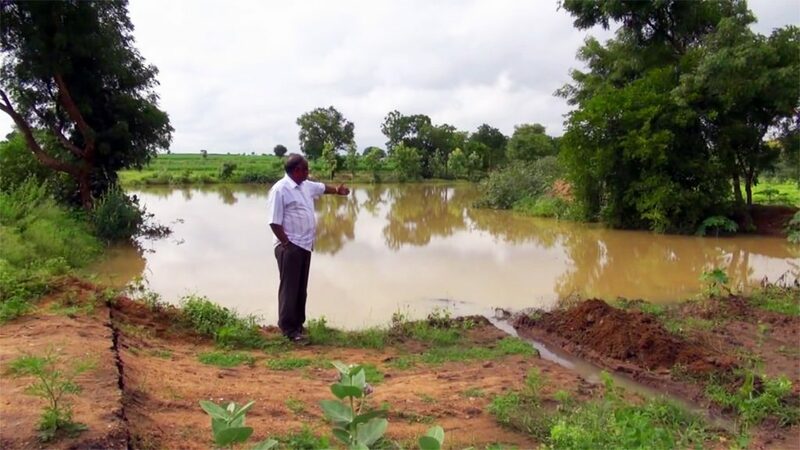 Hailing from a small village in Gadag, Karnataka, he worked with Larsen and Toubro (L&T) for 23 years before quitting his job to focus on water conservation. While working with L&T, Masagi bought six acres of land in his village and began cultivation. After some initial success, a severe drought ensued in the next few years, followed by a flood, which destroyed his crops. It was during the flood that Masagi realised that this excess water can be saved for times of drought. After consulting several water experts, he developed a pit-based water storage technique along with non-irrigational agricultural techniques such as – irrigating without any water canals. Ayyappa Masagi’s system employs pit like structures to collect rainwater, which is then filtered by pumping the water into a borewell pit filled partially with sand and gravel. During the monsoon, water gets collected in these pits and then is stored underground borewells as the water slowly trickles through the gravel and sand, and then stored underground thereby recharging the groundwater. This method prevents loss of water due to evaporation and as a result, the soil retains moisture, helping crops to grow even during summer. 40 such pits can dug in an acre of land, which would cost around INR20,000 for every acre. Once constructed, these pits require almost no maintenance. 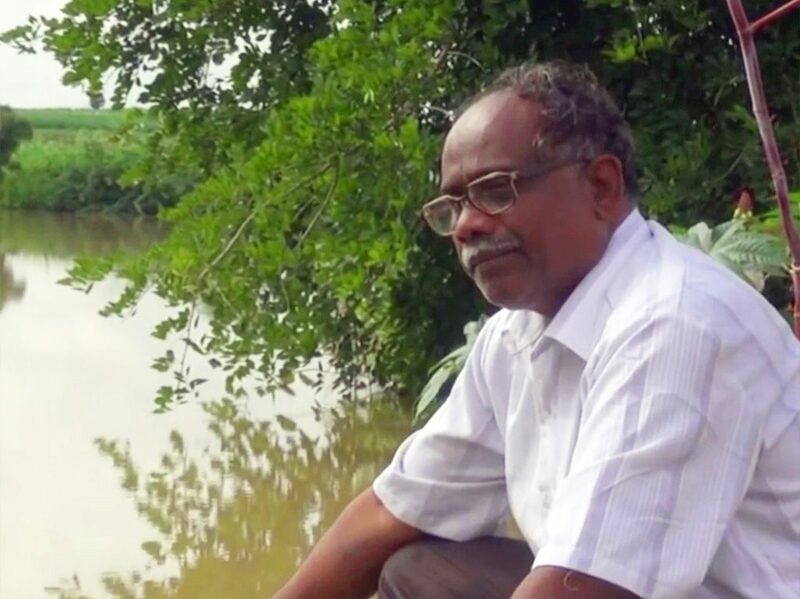 Through his Water Literacy Foundation, Ayyappa Masagi has helped more than 100,000 farmers in South India by solving their water scarcity issue. Baburao Hazare, also known as Anna Hazare, is a well-known social activist who, apart from fighting for increased transparency in the government, also promoted rainwater harvesting in his drought-prone village of Ralegan Siddhi, in Ahmednagar, Maharashtra. Raleghan Siddhi receives 450-650mm of rainfall every year and temperatures reach up to 44°C in summer. In 1975, when Anna Hazare returned to his village from army service, a drought hit the region resulting in severe water scarcity. Saddened by the state of his village he decided to use a simple and traditional technique to prevent water run-off by constructing ‘nalla bandhs’. These nalla bandhs or contour dams prevented water run-off and allowed it to percolate into the ground and recharge the groundwater table. They were built along valleys where rainwater would naturally flow, due to the contour of the land. Six nalla bandhs were built in the first stage and 31 more were built later on, with a storage capacity of 250,000cubic meters. Following this, an existing faulty percolation tank was renovated to hold a large amount of water and allowing it to slowly recharge the ground water. This helped the village to now have more than enough water and it has now become self-sufficient. Groundwater levels have significantly risen, recharging wells and bore wells. Crops are now grown all through the year and are more productive, encouraging farmers to cultivate a wider variety of crops. 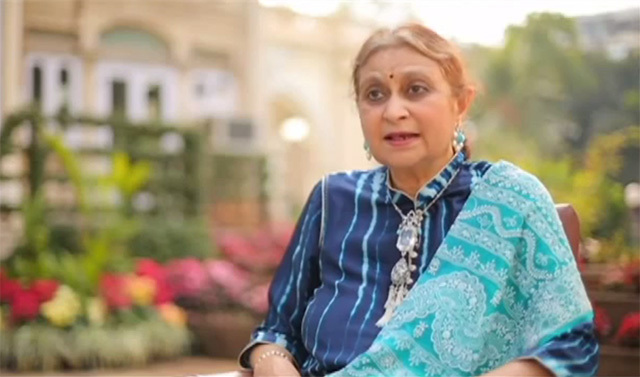 Amla Ruia, also known as ‘Water Mother’, is a Mumbai-based social activist who used traditional water harvesting methods to come up with a water saving solution. In the summer of 2000, Rajasthan was hit by a severe drought resulting in a poor agricultural produce, as most of the crops withered due to the lack of water. Moved by the poor condition of the farmers in Rajasthan, Amla Ruia set up Aakar Charitable Trust to come up with a sustainable solution for the water crisis. Although the government provided water through water tankers to the villages, it was not a sustainable solution. Amla Ruia turned to rainwater harvesting and she began by building two traditional check dams, also known as ‘Khadins’, near a village called Mandawar. These check dams work very much like any other dam, but are more cost efficient. They help in storing the rainwater and allow the water to slowly percolate through the soil, by avoiding surface run-off. The two check dams had a drastic impact and following this success story, Amla Ruia constructed more check dams in nearby villages through her NGO. 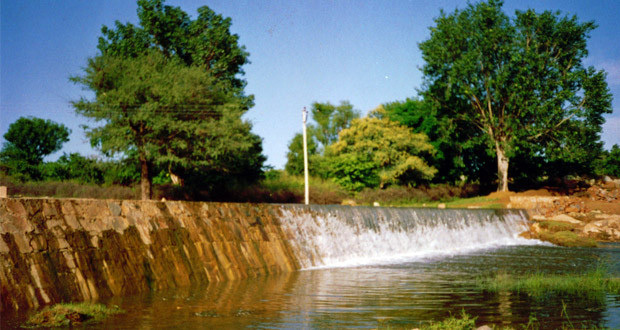 The check dams cost around INR500,000 and their price can vary depending on their size. 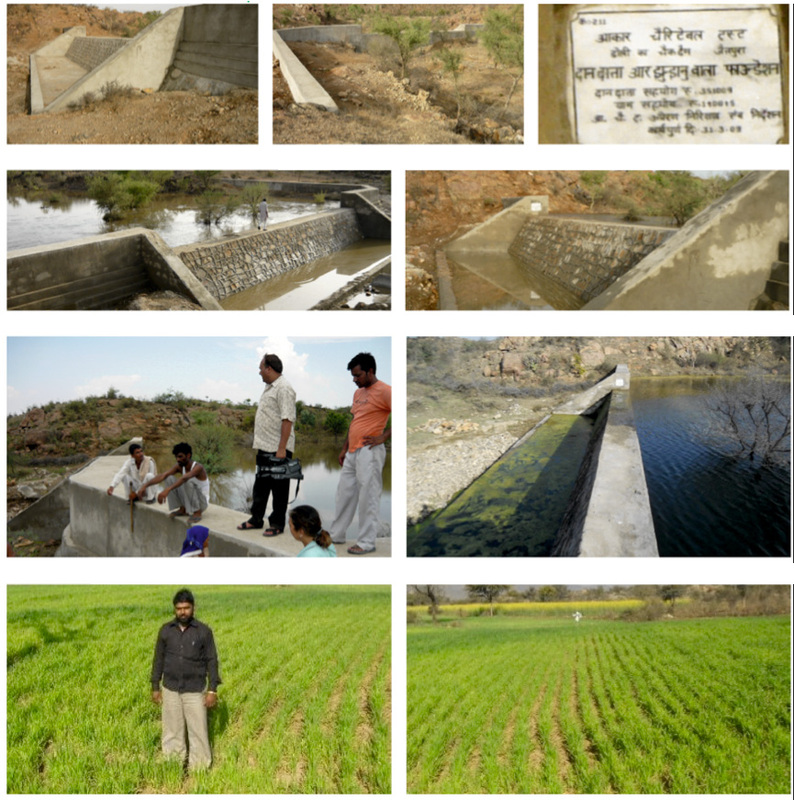 Aakar Charitable Trust has now built over 200 check dams in 100 villages in Rajasthan, which has impacted the lives of more than 200,000 people. This entry was posted in Uncategorized on August 16, 2016 by PlugInCaroo.